Drinking more tea can be a smart move for your health, but you get the most benefit from freshly brewed tea as opposed to bottled tea which can contain sweeteners and other additives that might be not so good for you. If you're used to drinking coffee, you probably have a coffee machine and all you have to do is add coffee and water for your daily fix—but tea can be a bit more complex to prepare, with different varieties needing to steep for different times and at different temperatures. Fortunately technology has come to the rescue with high tech tea pots that can make you the perfect cup (or pot) of tea with minimal hassle. After all, who doesn't love new kitchen gadgets? 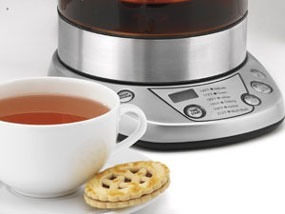 Just like your coffee pot, these all-in-one solutions will brew the perfect cup at the press of a button: all you need to do is add tea leaves and water. Though it's pricey, this the perfect gadget for tea making, with automatic settings that get the time and temperature right for different types of tea. Just add loose leaf tea and water, and the Breville will do the rest, even automatically pulling the tea leaves out of the water when it's done brewing. And if you have a special tea that needs different settings, the Breville is programmable, too. Cuisinart offers the easy pre-programmed features of the Breville but at a more attractive cost. Add tea and water and then press the setting for the type of tea you're brewing, which will automatically set the brewing time and temperature properly. 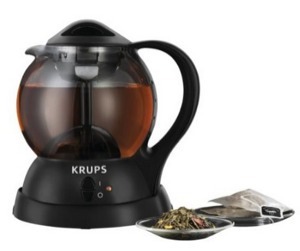 If your budget is more modest, you make like this Krups kettle. 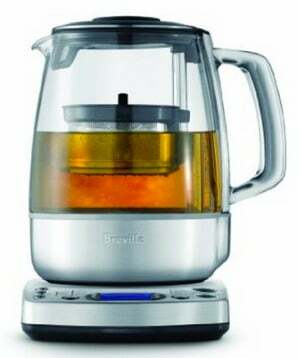 It's not as high tech as the Breville, simply heating water which it then pours over tea leaves—more like a coffee percolator than traditional tea making, which requires the tea to be submerged in water. But reviewers say it brews a tasty cup and it can't be beat for simplicity: just add tea (loose leaf or bag) and water and let the kettle do the rest. If you don't drink enough tea to justify having a tea-specific appliance taking up space on your countertop, you might look at an electric kettle. These gadgets quickly heat water which you can use for anything from tea to french press coffee to instant noodles. 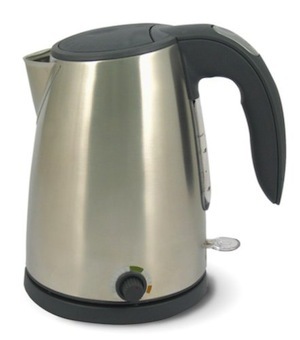 This is an electric kettle for tea lovers. 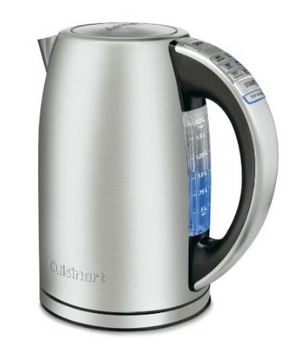 Very much like Cuisinart's TEA-100 above, the CPK has pre-programmed water temperature settings so all you need to do is press the button for the type of tea you're brewing and the water will be heated perfectly. Of course, with an electric kettle, you still have to pour the hot water into your tea cup, but it makes for a more multipurpose gadget than any of the tea appliances mentioned above. If you don't want to pay a premium for the Cuisinart above, this model will do everything you need for a lot less. You can set your temperature with the dial in the base and the Adagio will quickly heat your water to be just right for your tea. Though it requires a bit more tea know-how, it's still easy to use and certainly gets the job done. 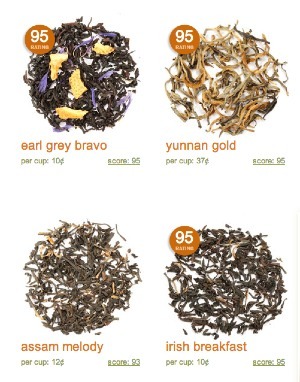 And now that you have the tech to make the perfect cup of tea, do you need stock up on tea? Though you can buy from your local supermarket, there are plenty of online stores that will offer more variety. Our favorites are Adagio Teas, David's Tea and Teavivre, all of which offer a number of different varieties as well as sampler packs to make it easy to try new flavors. Most tea accessories—mugs and spoons—are things you probably have in your kitchen already. However, if you're just starting to investigate loose leaf tea, you'll need to invest in a tea ball or a kettle with a mesh basket to hold the tea while it steeps. For buying online, we think there's no better place than Amazon, which has a wide variety of tea balls that range from straightforward to silly. What a great article, as a mother, my most relaxing moments are drinking tea - by the fireplace in winter, and under the wisteria in summer. Their signature product has been in gourmet health food restaurants the world over - including the Harvest which closed down in Denver. Their tea is only $4 a box - what a bargain considering the more expensive brand that are not as flavorful as this product.